Investing.com – The dollar traded slightly higher on Monday and hovered near two-month highs on a stronger-than-expected third-quarter . The that tracks the greenback against a basket of other currencies was up 0.08% to 96.24 by 12:08 AM ET (04:08 GMT). 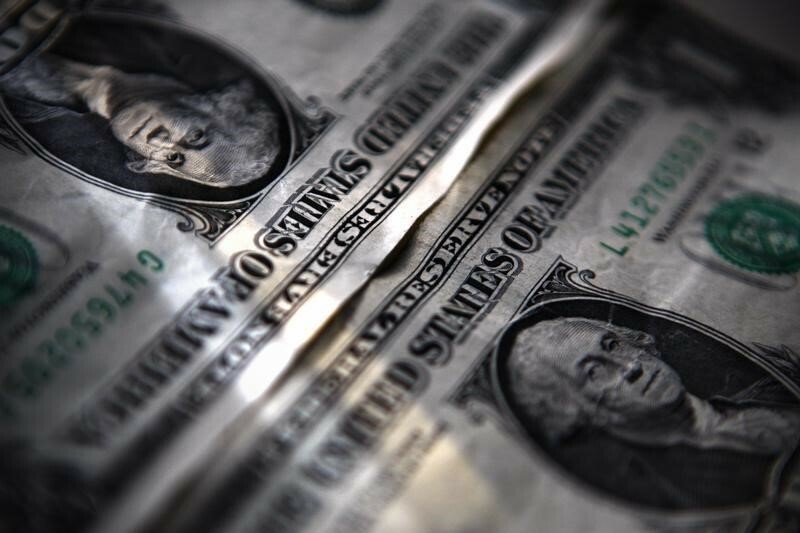 Trade tensions between the U.S. and China and rate policies by the Federal Reserve were cited as tailwind for the dollar in recent months, which is widely considered to be a safe-haven asset in times of uncertainty and economic stress. Meanwhile, the Chinese yuan slipped against the greenback, with the pair gained 0.1% to 6.9544. The People’s Bank of China drained CNY 120 billion from the market as it skipped open market operations on Monday. The central bank raised the yuan midpoint rate by 133 pips to 6.9377 vs Friday’s fix of 6.9510. Looking ahead, Central bank meetings in the UK and Japan are expected to be in focus. They are broadly expected to remain steady on their current policy stance. Citing a survey, Bloomberg reported that analysts think Bank of Japan’s inflation forecasts will be “largely unchanged”, and that most of the analysts don’t expect the central bank to take extra action to support the economy when the sales tax is increased next year. Most economists expect the bank’s first tightening move to be a raising of the 10-year yield rate, Bloomberg said. Elsewhere, the pair and the pair both inched up 0.1%. The Japanese yen, another safe-haven asset, was little changed on Monday as the pair traded 0.01% higher to 111.92.